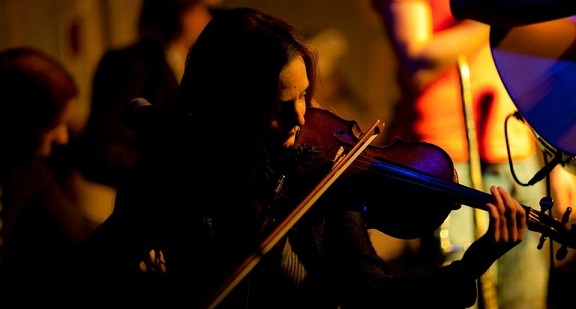 Tirill Mohn initially came to progressive listeners attention after playing violin and classical guitar on the highly regarded debut album `Ignis Fatuus’ from Norway’s White Willow. 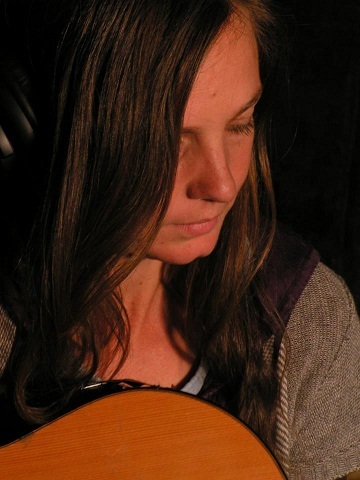 Going solo, she quickly established her own take on the prog-folk genre, with additional elements of pop, classical, and medieval influences in addition to a delightful singing voice. 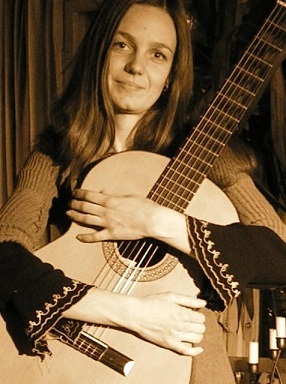 Her music is comparable to fans of her original band, Loreena Mckennitt, Nick Drake, Heather Findlay of Mostly Autumn and even Linda Perhacs. 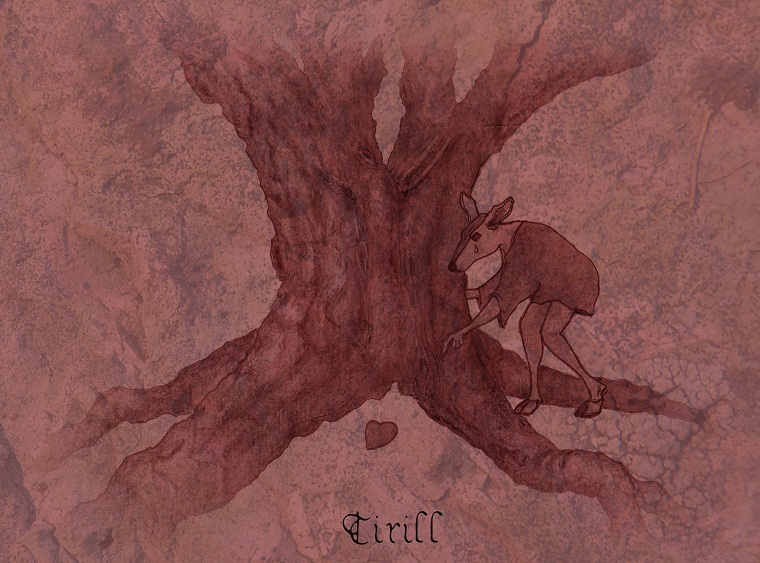 Tirill released her debut `A Dance with the Shadows’ (recently re-released as "Tales from Tranquil August Gardens”) on Michael Piper's `The Wild Places’ label in 2003, specializing in somber, beautiful folk and Scandinavian progressive rock. It was well acclaimed, and a second album, 2011’s `Nine and Fifty Swans’, saw the artist ambitiously putting poems by W.B. Yeats to her own music. As well as her involvement in indie-prog band Autumn Whispers, 2013 now sees the artist release her most intricate and complex work yet - `Um Himinjudor’. Hi Tirill! From a young age, did you always know you wanted to be a musician? How were you exposed to music in the first place, and what sort of music was it that made a big impression on you? Tirill: Well, I have always felt a strong attraction towards the art of music, but I can't say I always knew I'd be working with it. I had many dreams, and music was the one that turned out real. I guess music always had a strong impact on me. We always listened to music at home, all sorts of music and mostly British music of late Sixties and Seventies. Bands that have meant much to me are Jethro Tull, Barclay James Harvest, early Deep Purple, Beatles, Høst, early Genesis, Moody Blues, Yes, ELP, King Crimson, Gentle Giant and many more. Common for them all is the irresistible sound of the seventies, the progish leanings and the melancholic melodic tendencies. And the atmospheres! It was like they had a vision of a Utopia – almost within reach. Later on I also found a lot of inspiration in classical and baroque, archaic and byzantine music as well as Greek folk. I must also mention Nick Drake as a huge inspiration: a little later, but incredible important discovery for me. Were there any particular female artists, not necessarily progressive related, that served as an inspiration to you, either back when you started in music or even now? There were not so many female artists in the bands I used to listen to, so my sources of inspiration from them were therefore limited. But that doesn’t mean that the world is not full of amazing female songwriters and musicians. Personally, I do have a great admiration for Kate Bush and Lisa Gerrard, both of them independent and strong personalities in music. I seem to notice that many times female artists working in progressive related bands seem to personally have little actual interest in the genre? 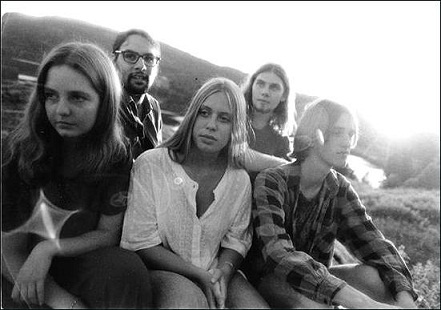 I have the impression that earlier, many of the female singers of progressive music were head-hunted by the songwriters of the band for their voice, and whether they'd be classical educated or with a background in jazz or folk, they were maybe not familiar with the style of progressive rock from before. This have probably changed today, I do hope so! Personally I always loved progressive rock, and I still find inspiration in the bands I admire. When you first started your solo work almost twenty years ago, there wasn’t as many female artists working in progressive related genres. Move forward to today, and there are endless amounts, both as solo artists but especially in bands. Do you find this inspiring or challenging, or do you ever feel you have to compete with them? I actually haven't kept track of many progressive bands of today, so I am not much aware of the development. To be honest, and this is a long kept secret, I don't keep updated at all when it comes to new music - except for my favourite bands and they newest releases of course - and sporadic good releases that my friends introduce me to. I am hopeless in that matter! It also means that I am unaware of possible competitors! Anyhow, I am not the type to compare myself and my music. For me it is a blessing to be totally free in the creation of it, and I hope other songwriters feel the same way - one should not compete in music, at least not in our field. Many prog listeners will initially know you from your connection to the early days of White Willow, playing on their first album `Ignis Fatuus’ (recently been reissued in both a stunning double LP set and double CD set (I have both!). How did you come to be associated with them? My first acquaintance with White Willow was when it bore the name The Orchid Garden, in the early nineties. My boyfriend at the time, Jan was playing with songwriter Jacob in different projects, as well as The Orchid Garden. After a demo recording of King Crimson's Moonchild (present on the Ignis Fatuus cd reissue) and a couple of their own songs, the band searched for a violinist, and that is when I came into the picture. We rehearsed a set, played live, and - after a suggestion from the flute player Audun - the band changed name to White Willow. The recording of Ignis Fatuus took place soon after this, in late afternoons after school (remember, we were teenagers at the time) and weekends. These days `Ignis Fatuus’ is considered something of a classic of modern progressive music, and frequently thought of as the high point of White Willow. What do you think made it special, and why do you think listeners responded to it in such a way? Are you proud of what you and the band achieved on this record? I think Ignis Fatuus was a result of young, glowing talents gathering up around a common vision of music opportunities and dreams. I believe this energy was brought into the sound of the album, and is what people responded so positively to when it came out. Everything was possible, but not everything was accepted in the ears of the young visionaries. It had to keep a certain level that we all subconsciously agreed upon, more or less. I think it is a great album, and it still carries a wonderful visionary feeling to it. Are there any particular tracks on that album that especially mean a lot to you, and if so, for what reasons? It is difficult to pick out certain tracks, because they all have kind of strong personality, and I know them all so very well. But I guess John Dee's Lament was always a kind of favourite of mine, it is a brilliant song. And `Lines on an Autumnal Evening’, which has a special place in my heart. `Signs’ was the first song I released, and basically the first song I ever wrote (if you don't take in consideration childhood compositions) - and of course it means a lot to me. Out of the bonus tracks on the reissue, I have a special love for `Det Omvendte Bæger’. Is is a fantastic song with lyrics by Welhaven, a writer of genius. At that stage, were you already considering launching your own music, to express your own personal ideas and musical directions? Well, I guess I was having quite clear ideas about arrangements and sound at that time, but it was not until a few years later I started to gather up a few tunes and took seriously the dream of releasing my own music. The late Michael Piper would go on to release your album `A Dance with the Shadows’ on his label The Wild Places. 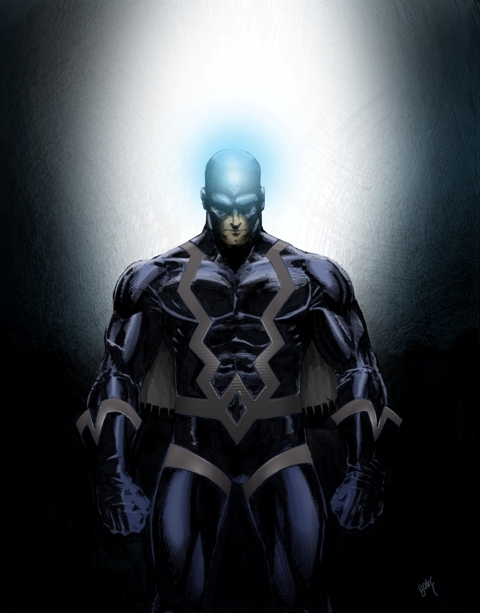 How did you first come to be involved with him, and what are your thoughts on him now looking back? I think it was Laser's Edge's Ken Golden who first mentioned Michael Piper and his label for me. Ken knew I was working on a demo, he had heard it, and thought it was the kind of music Michael would like. So I sent him a demo, and a few days later I got a mail with his positive response and a suggestion to release the album through his label The Wild Places. Michael meant a lot to me, not just by the fact that he recognized and liked my music, but also by the quality of his personality. He was the kind of person you rarely expect to meet in music business, being a romantic warm hearted idealist, releasing music only for the sake of the quality of it. I remember well the title of the mail he had received the master of `Tales from Tranquil August Gardens’ (that was actually the working title at the time, it was Michael who later came up with `A Dance with the Shadows’), it said "Track number 7 and tears". We'd share a lot of the same ideas, and had so many emotions in common. I often think of him, always with gratitude. `A Dance with the Shadows’ is hardly a conventional `folk’ album, something that might have been expected of you! It’s darkly romantic, often balancing melancholic and reflective observations, a mix of gothic poetry, progressive tinged ballads, celtic/world elements, with many modern electronic elements worked into a lot of the acoustic playing. I assume this was a conscious effort to avoid clichés and make a more unique sounding work? `A Dance with the Shadows’ became my personal playground for arrangements and sounds. It was great fun, yet quite a serious and hard working process where I learned a lot and also put some standards for what I wanted to do with music. I have nothing against the idea of catchy music, but personally I never enjoyed what you can call easy solutions, nor for melody, chord progression or instrumentation. I like to think of music as a tool or a key to reach different emotional layers or dimensions, you could say...whereas the creative development of the songs should be of a more thoughtful character. The lyrics were written between 1996 and 2001, each song credited in the original CD booklet. Did you notice any changes in your lyric writing approach over those 6 years, comparing the older pieces to the newer ones? I don't think my lyrics have changed much over the years you refer to. I still write about the same things, though as the years pass by, perhaps with a little different attitude. 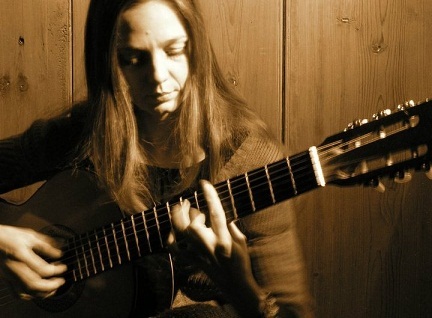 Despite the album being a solo work, you still had numerous guests contribute to the playing, including current White Willow vocalist Sylvia Erichson who sung lead vocals on the track `Vendela’. Why did you decide to let someone else take the lead on this one? I like the idea of a versatile and rich sound, and so the arrangements will require the presence of certain musicians. For me, an instrument or a sound can be as important as the vocals. I usually prefer a sound landscape where all components are blended equally, more or less, and not necessarily the vocals as a main focus. I also like to blend voices – as well as instruments - to give different emotional expressions. I thought Odd Håkon Solbakken and Sylvia would be a good pair for this exact song. What are your favourite pieces on the album, and for what reasons? I remember I used to change my mind about favourite tracks. But today, 10 years after the release, I believe the ones that stand out are the ones that still surprise me. I believe `Heavy Heaves’ and `Golds of Morning’ are songs that have that quality. However, I believe `Dressed in Beauty’ is the one that defines me the most as songwriter. The album was reissued in 2012 on double LP and CD, with the addition of a few bonus tracks, under the new title `Tales from Tranquil August Gardens’ . What was the reason for the title/cover art change, and assuming you gave the whole album a fresh play in preparation for the re-release, did you discover anything that you would have done differently if it had been recorded now? How do you feel about the album as a whole nowadays? As I mentioned earlier, the name and cover artwork for the re-release was actually the original idea, from back in 2002-3 when I contacted companies with my demo. When Michael Piper died in 2008, and I decided to start my own label and re-release the album, it felt natural to go back to the original idea as to mark this new era. There are not many things I would have changed about this album today. I was quite satisfied when I was done with it, even though I knew there were many ways it could have been done differently. The point for me was to stay true to my own ideas, so I rarely took any advice from others in the creation of it. I am very glad for that now, and I still consider it a complete album today. The second solo album appeared many years after the debut, is there a particular reason there was such a lengthy gap between the two works? Well, after the release of the debut album, I started to teach Modern Greek. I'd been to Greece a few times, fell in love with the music, and decided to learn the language. When I started to give classes, I spent so much time to preparing and developing the teaching material, and for several years teaching was my main occupation. The work with the Yeats project took place in my spare time. `Nine and Fifty Swans’ appeared in 2011, and was a collection of music based around the words of poet W. B Yeats. How did you first discover his works, how did you respond to it, and why did it have such a personal effect and influence on you? 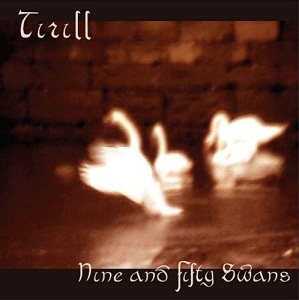 `Nine and Fifty Swans” was a result of a personal interest I developed for W.B.Yeats and his poetry. I coincidently came across his work when I found a Penguin book of selected poetry in my father’s bookshelf. I immediately liked his poems and after having read the collection, I made a personal selection based upon my favourites - and then developed the songs. I travelled to Ireland twice in order to get a little closer to his work, attended the Yeats Summer School, and made some good friends and enriching connections. It was an inspiring and pleasant journey into another man's art, and I am glad it took as much time. In some of Yeats best poems - in my opinion the best - he manages to put words on subtle corners of your imagination that rarely speak, he makes small pearls of truth and conjures them into words. That is what touched me about him, and made me want to create `Nine and Fifty Swans – a journey into W.B.Yeat’s poetry’. Was there ever a time during the recording of that album where you found it frustrating not being able to use your own words, or that specific words by the poet used were not working with the music you were recording? I never felt limited by the fact that the poems were already written. On the contrary, it opened up for more and different opportunities and solutions. I actually felt kind of close to Yeats during the creation of the album, and strangely enough I often felt that I was merely part of a team work. For me, this says something about the strength and personality of his poetry. This album had quite a different sound to the first, as it appropriately removed the more electric and electronic elements of the debut, really going for a wintery, gothic timeless quality? The sound of this album was mostly a response to the quality and origin of the lyrics. 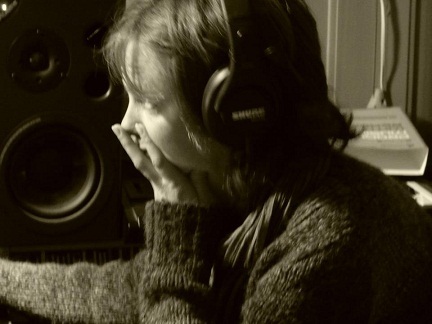 I wanted the sound to be more open, more transparent, acoustic and folksy, towards Irish music. I had a band at the time, and it was a great opportunity to find out what worked with this kind of traditional line-up. I do believe this sound worked well with the poetry of Yeats. Am I wrong in noting that on both of these albums, you have these very different, experimental pieces - the seriously unnerving `Heavy Heaves’ on the first disc, and the spoken word with acoustic ambient backing `The Fisherman/Carolan’s Ramble To Cashel’? Well, I guess some songs are more different than others. As for `Heavy Heaves’, I developed this on keyboard and not guitar, as I usually do, which might be the reason for the different outcome. About The Fisherman, I came across the idea when I was in Ireland, and heard a harpist playing this fantastic tune, called `Carolan’s Ramble to Cashel’. I knew already then I wanted to use this song somehow on the album. It didn’t feel natural to add any lyric to the melody, since it is originally an instrumental piece, and beautiful just as it is. So I decided to keep it quite like that, but at the same time adding intermissions with recitation. So that’s how `The Fisherman’ came about. How do you feel about this album compared to your debut album now? Well, I feel it is a mere continuation of my musical path, actually. I never compare the albums to each other; I believe I never knew how to do that. However, I do strive to create complete and independent albums. 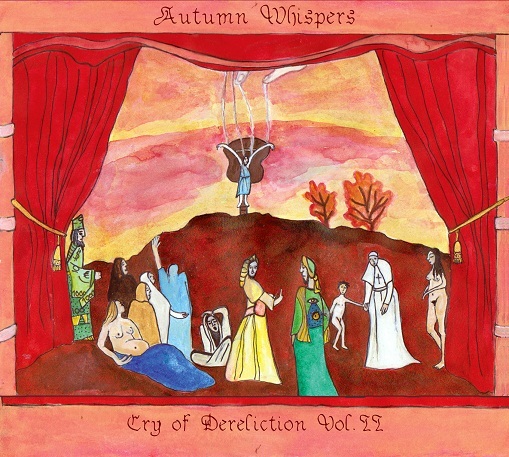 What a wonderful surprise to find your involvement in something that moves a little closer to prog rock for the first time since your original band, with the indie prog band Autumn Whispers, who released their debut `Cry of Dereliction. vol 1’ in 2012 and now follow it up with `Vol 2’ out right now! How did this participation come about, and what are the challenges of working in this band format over your own personal solo work? Autumn Whispers is the brain-child of my friend and colleague Dino Steffens, who writes and arranges everything there. My role in the band is as violinist and additional vocalist, and I also support with some arrangement and production ideas. The band was formed in 2002, and played live for some years before the recording of their first album, Cry of Dereliction Vol I. The line up changed a little in that process, but has kept stable since then. I believe Dino and I have some of the same music ideals, being inspired by many of the same bands, which I guess is the reason we can cooperate well on this project. The Autumn Whispers sound picture is of a world that is known to me, I can easily connect to it and participate. As I mentioned, Autumn Whispers is basically Dino’s writings, I don't participate with the songs here. So it is of course a different kind of challenge to participate as an instrumentalist rather that a songwriter or arranger, but I wouldn’t say it is more challenging, only different...in a good way! I really like the way Autumn Whispers goes, it is a little more proggy than my own music, has a wonderful gathering of musicians; lovely personalities that are not afraid to give what it takes. It is actually an international group, mainly from Greece, one from Malaysia and only two Norwegians participating - and it is one of the few band line-ups I have joined that keeps a 100% good chemistry. Autumn Whispers is a conceptual group, and as one may understand from the name of the first album, there are more to come: Autumn Whispers will release 7 volumes of Cry of Dereliction – with different thematic point of views. The new album, `Um Himinjodur’, please tell us what the title means to start with? The name Um himinjoður is taken from Eddukvædi (Poetic Edda of Norse Mythology) and denotes a part of the Genesis according to the prophecy of the Seeress (Volven) called Voluspå. The title " Um himinjoður " means "on the rim of the sky", and is one of two possible interpretations. The English translation of the verse goes like this: "The Sun came South, sister of the Moon, cast her right hand over Heaven's Rim. No knowledge she had where her home should be. The Moon knew not what might was his. The stars knew not where their stations were." One can imagine that the sun rises for the first time, and is put into orbit towards the right - what we call the direction of the sun, or clockwise - and is the very beginning of this solar system in motion. In the New Norwegian translation by Ivar Mortensson-Egnund, the word "heavenly horses" (himmelhestar/ himinjóðýr) appears instead of the "heavenly rim". In this interpretation one can imagine that the horses Rimfakse (the moving force of the Moon through the night) and Skinfakse (the moving force of the Sun through the day) fly across the sky and pull the sun and the moon in orbit. Both interpretations are used in translations and reinterpretations, and both give logical meanings according to the Genesis of the Norse Mythology. In the album Um himinjoður you will find both versions present, in order to create a certain dimension and a poetic basis. The cover artwork is sublime! Ha, you know I can’t wait for a vinyl version! Who created the art, and what does it mean in regards to the album overall? The cover artwork is very much connected to the content of the music on the album, and also the name. I sometimes challenge myself with the mind experiment of being placed on a newly re-created earth, as the only human, and I ask myself; what would I put into it? 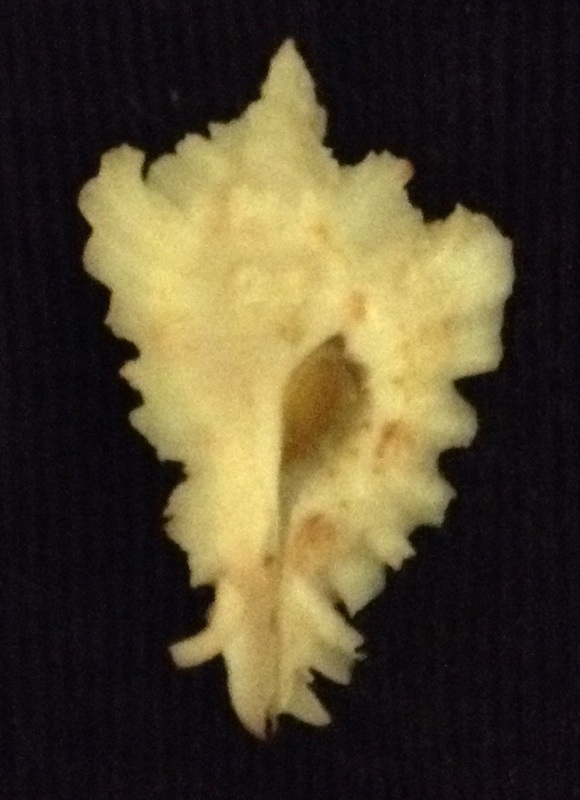 In comparison with our world, what would I keep and what would I discard? It is a way to look at things from a distance, away from what is already established and often blindly accepted as traditions and social structures in our modern world. And I do try to live what I find there, as far as I can. Most of the songs on the album have a connection to such a state of mind - a state of mind “on the rim of the sky”, in an imaginary Genesis. Having a quite clear idea about the album concept, I created the cover artwork myself on this one. What do all the stone images in the booklet represent? The stone photos are taken by the shore close to my home; an area of sedimentary rocks. The rocks symbolize the archaic force and wisdom, and each stone pictures a movement connected to the theme of each song. It is without a doubt your most complex, intricate and challenging work to date, from the richness of the way the music was assembled, to some beautiful multi-tracked harmonies, to thought-provoking and reflective lyrics. I’m assuming it was all very time consuming? I sometimes feel it is quite time consuming, yes. Still I do enjoy the process and appreciate the value of carefully done work. I guess I’ve always spent much time on my music, and as the years pass by I appreciate that fact more and more. So I guess my future is already booked! 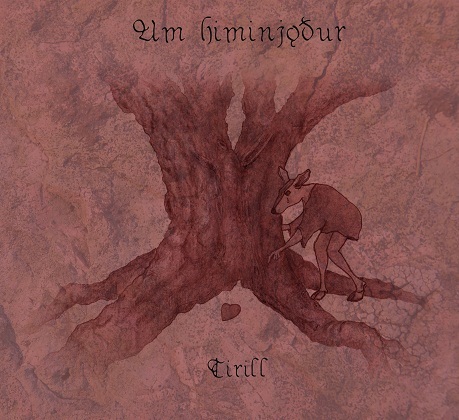 It’s instantly recognizable as your sound, but `Um Himinjodur’ is so much more dense, with melodies and arrangements demanding constant playing to appreciate, not quite so easy to instantly get into as the previous albums. This, of course, is the sign of a challenging and very satisfying work! So how different was writing this album to your earlier ones? Well, what made the writing of this album different from the others were mainly two things: The conceptual idea of the album allowed for darker sounds and moods. I also had the opportunity to work quite consistently, almost every day actually, for some months. The dense sound of the album has much to do with how we mixed it this time, letting the instruments keep even more space than before. Yet my first album holds the record of arrangement density and instruments participating simultaneously. Although not a traditional and outright progressive rock album by any means, you have overloaded the album with Mellotron on almost every track, as well as some lovely Hammond organ, which will really interest prog fans! Was this about possibly keeping progressive listeners in mind, or simply that is was appropriate for the music? Perhaps both?! Well, I believe I am not business minded enough to create a sound picture in order to gain particular listeners. But I definitely felt that those instruments would suit the songs and the album well - and I do love these instruments and the sound of the Seventies! How happy are you with the results, did it more or less turn out the way you hoped? At any time during the recording did you ever change your approach, so that it ended up sounding different in the final release than when you first started it? It turned out as I well as I could hope for. It was a quite steady process towards the basic idea of the album, no major changes. I have never thought of that, probably because I find my lyrics inextricably linked to the songs. But I do like to write, and who knows what the future will bring! You strike me as the sort of artist with a small but devoted collection of listeners. Are you happy with the sort of quiet modest level of success you have achieved over the years? 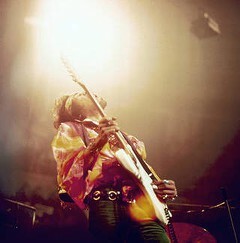 I have no problems with it, as it gives me a kind of mental space to do as I please with music. I wouldn’t have changed this for any success in the world. My music is not for everyone, and I am very pleased with the listeners I have reached so far. Does the digital download issue and perhaps a younger generation not as interested in the album format affect you much at all? I would think the kind of people who listen to your music are older, the sort who prize physical copies, who treat music as an actual piece of art, especially because of the bonus of the lovely artwork? I believe I entered the music industry when this was already a matter, so I wouldn’t be able to measure any change caused by it. But I do believe the CD format will keep longer than predicted. Remember, it is the last physical format – and the vinyl format is having quite a nice comeback, at least in some genres of music. And as you say, there is a real value for many listeners to have the artwork and lyrics available while listening to the album. Whether this is modified by age or genre I wouldn’t know, maybe both. How does it make you feel to see so much attention given to shallow, vacuous music stars where celebrity status is prized over actual talent? Thank you for your time, Tirill, and best of luck with the wonderful new album! Fantastic work, Michael! Tirill has just posted the link to this interview on facebook. Thank you, David! Hope you enjoyed reading it....as much as you did listening to your copy of her new album that you purchased?! OK, that's my quick plug out of the way! But seriously everyone, if you like the folk end of prog, please check out her albums, and especially her new one. One of the best albums of 2013! Oooohhhhhh....Outstanding work man!! Can you interview me too? She is a truly interesting person to converse with and I hold her in the highest regard. I am trying to not make this sound like a love song....She has supported my music and I am very humble to support hers. She has such a wonderful mind for music regarding her ideology about music, her creative flow and concepts. I always had a dream of working and touring with her in a Prog band where she would play woodwinds among other various instruments on stage. Her phrasing is beautiful and she has the brain, the talent, and impeccable abilities to contribute the most fine ideas to an artists compositions. She is extremely dedicated to her art. 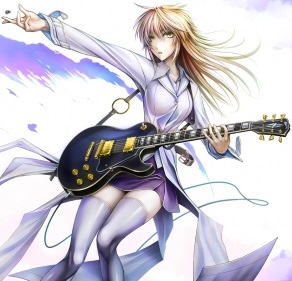 She does not choose to tour with other Prog bands as a full time musician performing other artists compositions, but if she did, it would make their music so much more original sounding. Thank you Johnny for your words and your personal thoughts, a very passionate response! Hey, I resent being called a `prog princess', Aginor! Seriously, though, glad you enjoyed, and she couldn't have given better responses! Excellent work Michael, you did your homework! I am not familiar with her nor White Willow's music, but from your interview my interest has been stirred. I am more intrigued with Autumn Whispers, I think, than Tirill's at the moment. Which usually means exploring all aspects of the groups members if I like them. That was cool that she posted a link to your interview! There are a couple of things here about the "arts" and "music" that is prevalent, STILL, in the 20th and 21st century. Women are not given enough credit for their work, and it doesn't get better when we can not get past the "song" and "popular" side of things. Unffortunately, it's all there is out there, and so someone this active and this good, does not always get the interest and appreciation that she deserves a lot more than many other fan oriented material out there, be it progressive or not. Maybe one day, be it a woman or a man, won't make a difference. But I get really tired how we discuss Peter or PF so deeply and we can not do that with Kate Bush ... or even Madonna, for crying out loud. Adding depth to Miley might be good fun for us, but we might get rude on that one! Mosh, I gathered she was very personally content and happy with the small but devoted level of supporters she has, that allows her to continue to release her type of music at her own pace and in her own manner. Seeking `popularity' doesn't seen to have been a consideration at all. I do think more than ever these days there are more women involved in our progressive genre, so perhaps we will get to see things slowly change - at least in prog! Why is Tirill not included here at P.A. yet ?? A definite treasure for the Prog-Folk sub-genre. Tom, under her first name `Tirill'! If you check out her records, they are all simply titled by her first name! Agreed. Europe, however, has artistic history, and you don't have to go back to a sculptor's mistress that probably did half his pieces, not getting credit for it, and instead ... so seeing someone only do the music for the love of it is important and valuable, and to me, it defines, the likes of Vangelis, or a Klaus Schulze as well, because the popularity side of it is nice, but not what they do, and concentrate on. But it is sad, that we can not appreciate more so many of these little gems as her work is really good and very nicely done. Now, I'm going to listen to Principal Edwards again!